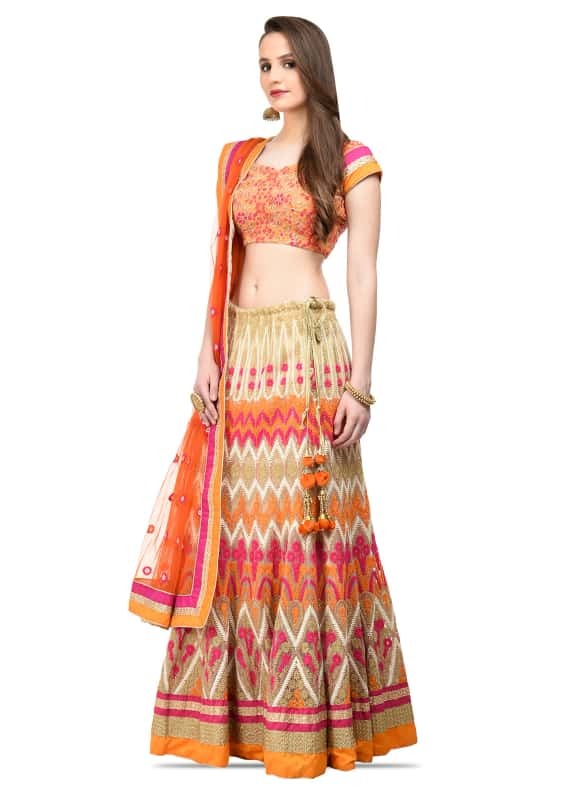 This lehenga features a blouse with running fuschia, orange and zari floral threadwork. 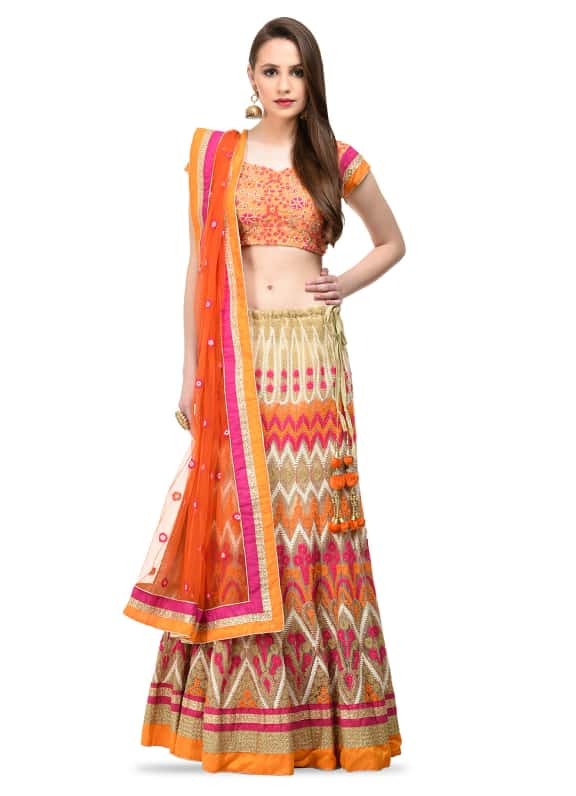 It is paired with a heavily embroidered skirt and an orange net dupatta. This contemporary outfit is perfect for your sister's mehendi. Style this look with accessories by Amethyst for an evening to remember.